The Grit Guard Pad Renewing Solution is a concentrated formula that quickly breaks down petroleum and water based compounds on your buffing pad. Only 2-3 sprays directly on the pad breaks down and releases dried and hardened compounds on your old pad and allows them to be easily cleaned with the Universal Pad Washer for a restored, like new condition. 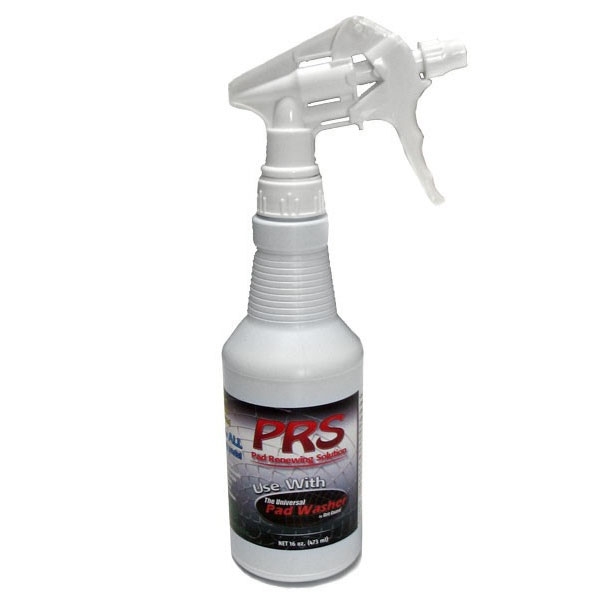 Solution is also a great general purpose cleaner for jobs around the office, home or shop. One 16 ounce bottle cleans over 150 pads.